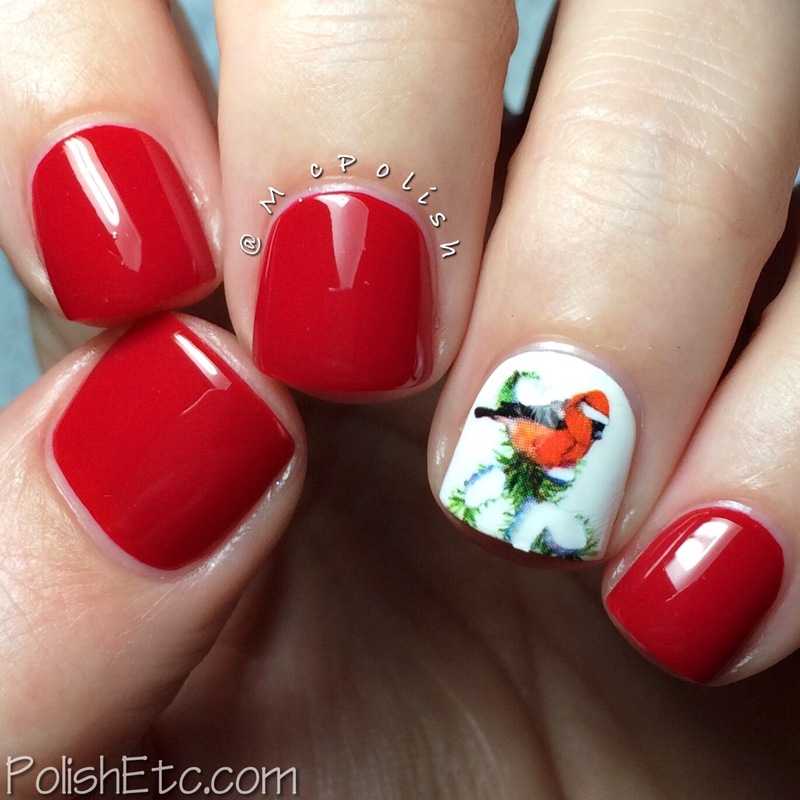 KBShimmer - Chilly Pepper and Winter Birds Decals - Polish Etc. I am stuck at the airport all day with a laptop and free WiFi...let's write some blog posts! 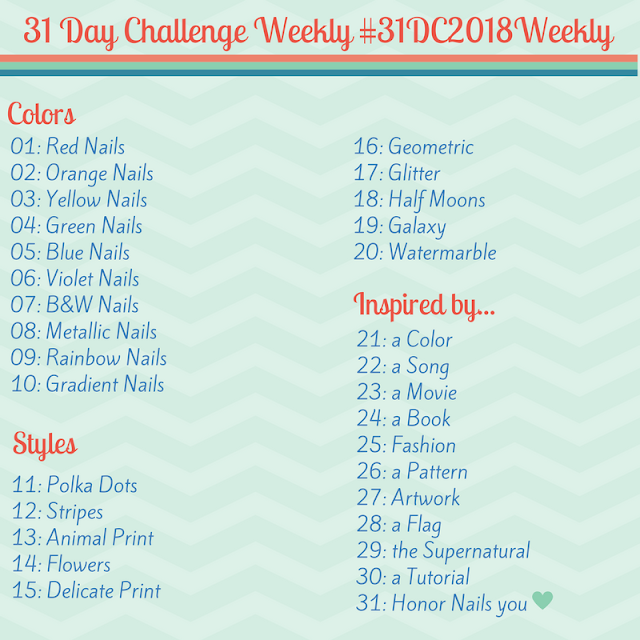 Today, I have a gorgeous creme polish from the KBShimmer Winter 2015 Collection to share with you. Move over OPI because KBShimmer has released the most perfect red creme polish ever! No lie. Ever since KBShimmer started releasing plain creme polishes, we have all been waiting for "the red one." Well, Christy did not disappoint because "Chilly Pepper" is fantastic! The formula is amazingly rich and creamy. It applies like a dream. It makes me question why I don't wear red polish often. It is the perfect color for the holidays but is such a classic, true red color that it is perfect for year round, too. I used two easy coats topped with KBShimmer's quick dry top coat, Clearly on Top. Perfection! Do you agree? I thought that this classic red paired nicely with some of KBShimmer's new winter water slide decals. These cute little winter birds reminds me so much of my grandmother. I'm sure they remind us all of our grandmothers because they are just so classic retro Christmas. I used one of cardinals over KBShimmer "Eyes White Open" for this accent nail. The water slide decals are super easy to use and come with clear instructions for application. I just cut out the decal that I wanted, soaked it in water for 20 seconds then slide the decal off the paper backing. You have a little bit of time to maneuver it on the nail before it adheres . Then I topped it off with Clearly on Top to give it a shiny finish. As you can see in the photo of the water slide decal packaging, you can get a full mani of birds or several accent nails out of one sheet. Adorable, right? The KBShimmer Winter 2015 Collection is available now. Not only are there 14 new polishes but there are a number of new decals, vinyls and bath and body scents to stock up on. Make sure to follow KBShimmer on their social media outlets to learn about upcoming Black Friday/Cyber Monday sales. Gahhh! I love that red. I haven't yet made my Winter collection order up. That one is going in the cart! Thank you for sharing! Your mani is so neat and clean - very beautiful.